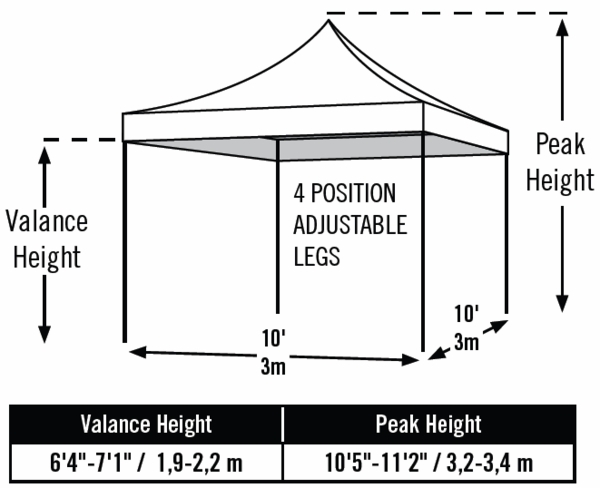 This pop-up tent canopy is a great alternative to larger tents that are more difficult to set up. The frame is of welded tubular steel with a baked on powder coating that eliminates chipping, peeling and weathering. The legs adjust to heights from 68" to 77". The full-fitted valence cover allows an easy assembly. The polyester cover is UV treated on both sides with fade blockers as well as angi-aging and anti-fungal agents to keep it useful and beautiful for a long time. All seams are sealed with weaterproof tape for best water resistance and seams that won't leak. Set-ups and take downs are accomplished quickly with a fold-frame collapsible design, synthetic joint components and lock nut joint construction. The wide foot pads provide stability and access to secure anchor points. 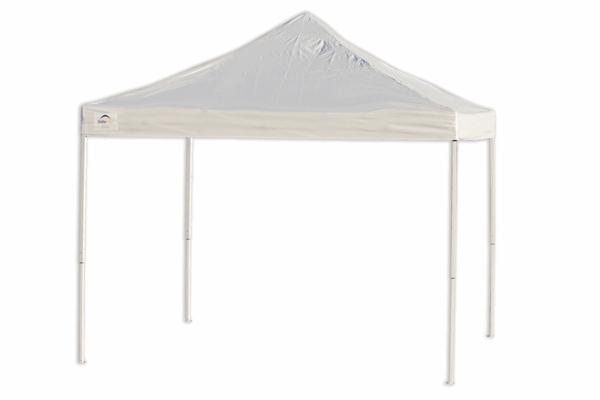 The package includes the frame, the valance, 4 temporary anchors, a wheeled storage bag and set-up instructions.